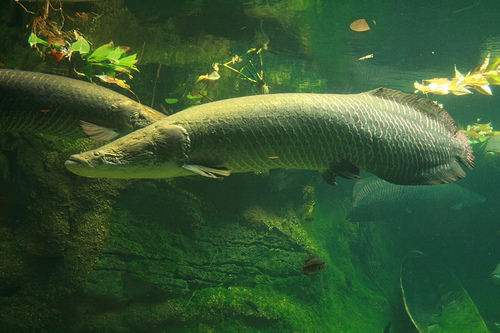 A new study published in the scientific journal, Neotropical Ichthyology uncovers the secret diet of the Arapaima. Contrary to many expectations, the research shows that Arapaima are not in fact top predators, feeding mainly as secondary consumers, and with a quite varied diet. This entry was posted in News, Resources, Species by guyanaconservationnetwork. Bookmark the permalink.